The head of NASA’s Meteoroid Environment Office, Dr. Bill Cooke, talks about a US wide network of fireball observatories that photograph/record and document meteors and any other space bodies that burn up in the Earth’s atmosphere everyday. Dr. Cooke and other meteor observers will be out in full force watching the skies on May 23-24, 2014 as meteor shower activity will be heightened with Earth passing through a cosmic cloud of dust and debris from the (relatively) recently discovered periodic comet 209P/LINEAR. Should provide an exciting and hopefully harmless light show in the night sky. There haven’t been any indications of military tests planned for that area, which has borders with Finland and is home to the Russian Navy’s Northern Fleet in Severomorsk. But there aren’t any astronomical details or news reports available either at this time on the nature of this celestial body. So we don’t know if it fully combusted in the atmosphere, landed in the sea or if any damage was done on the ground. Given Russia’s extremely large landmass, it would naturally see more than its share of meteors, meteorites and other similar natural phenomenon. Good thing so many Russians install dashcams and are able to provide these interesting videos. Over human history, our ancestors have looked up in the sky wondered about “falling stars” – fiery, bright bolts of light streaking through the sky. What were these strange lights in the sky and where did these “falling stars” come from? We now know that these are not “stars” at all but are instead small bodies of solid materials travelling through space, called meteors. When meteors pass through the Earth’s atmosphere they generate heat because of the friction between air and the meteor’s surface and end up, burning up in a bright fiery train of light. Most meteors are destroyed/burned up entirely as they enter our atmosphere with some very small particles surviving down to the Earth’s surface. 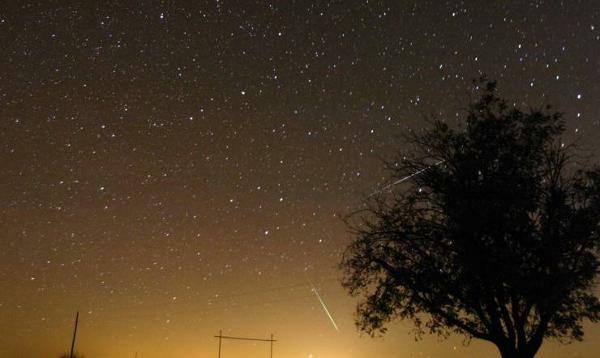 Large meteors surviving the journey through the atmosphere are very rare.